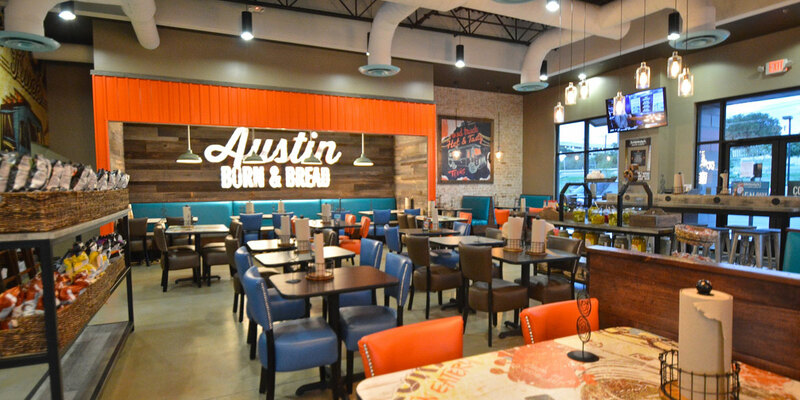 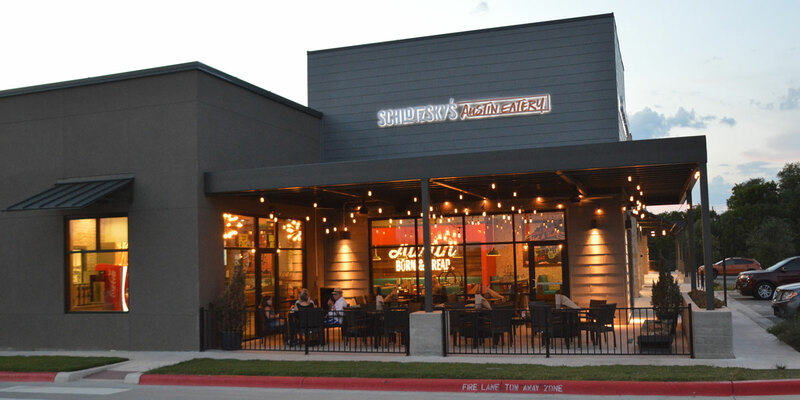 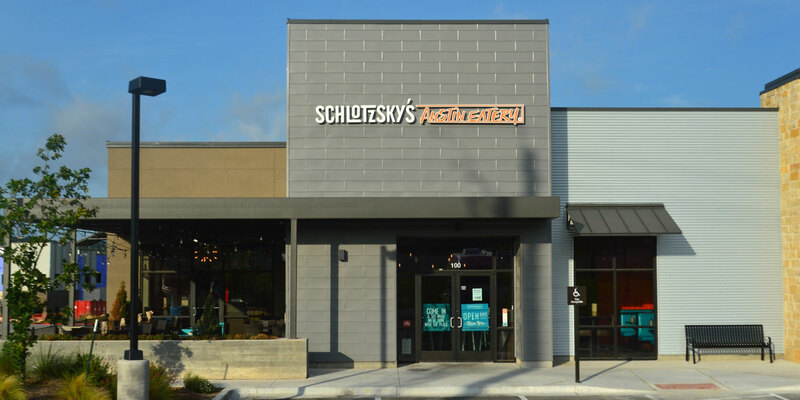 Interior finish out of a Schlotzsky’s restaurant with a central Texas flair. 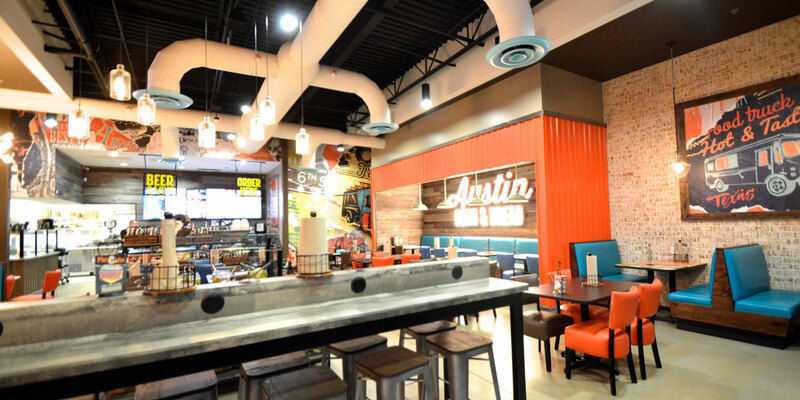 This finish-out was the first to be originally built to accommodate this new food & beer concept in the Austin area. 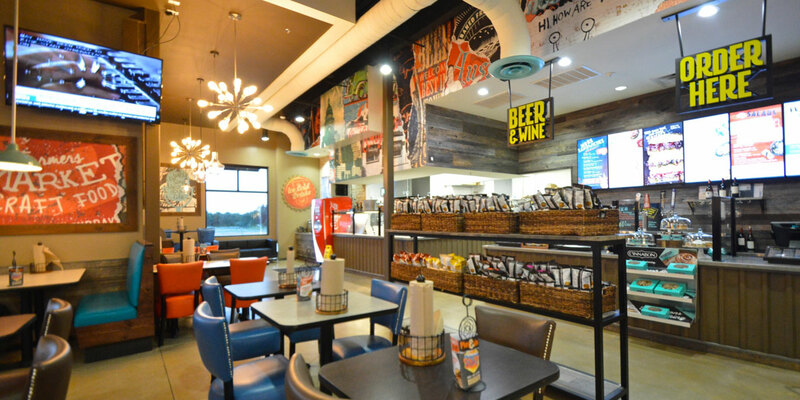 This is the anchor tenant in the Park @ Bee Cave Retail Building 2 project.